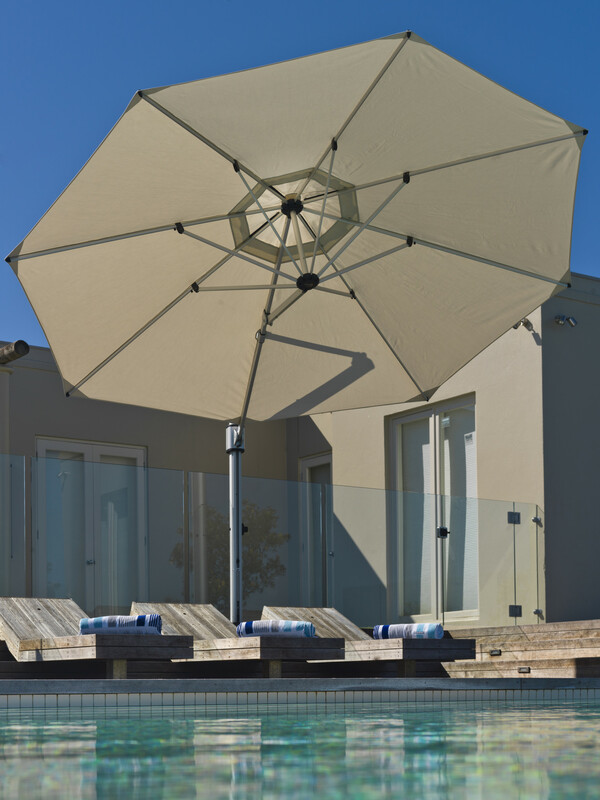 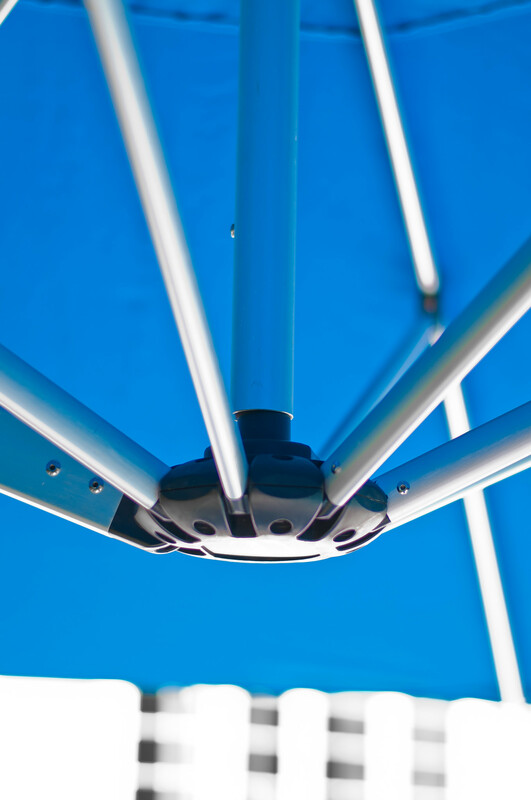 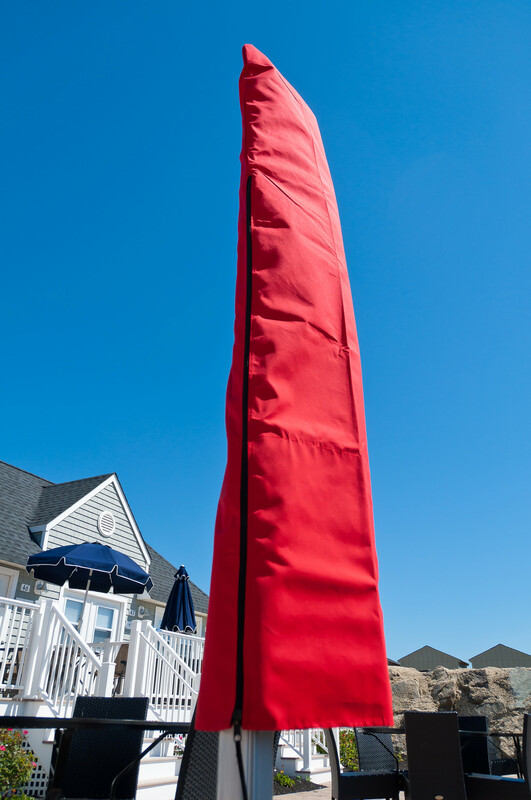 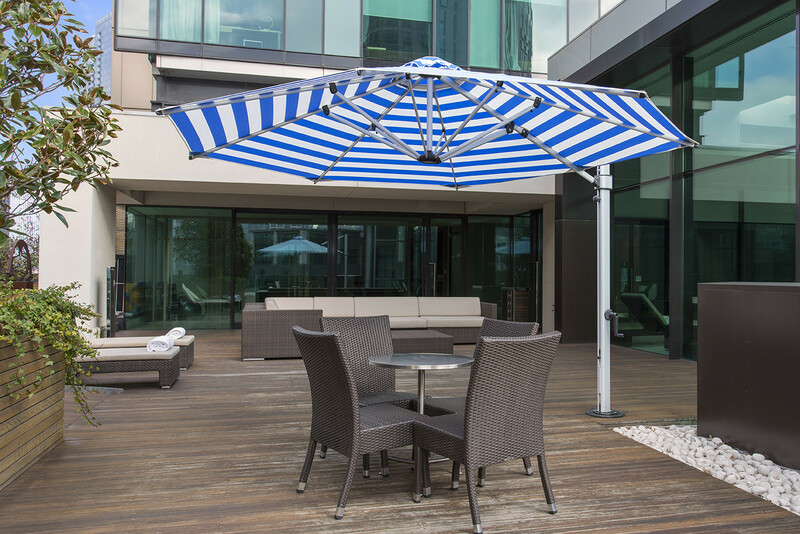 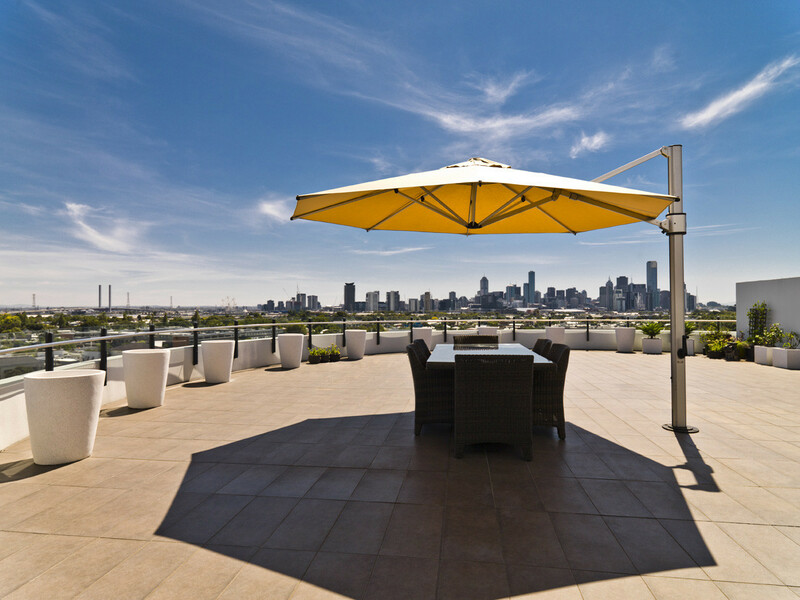 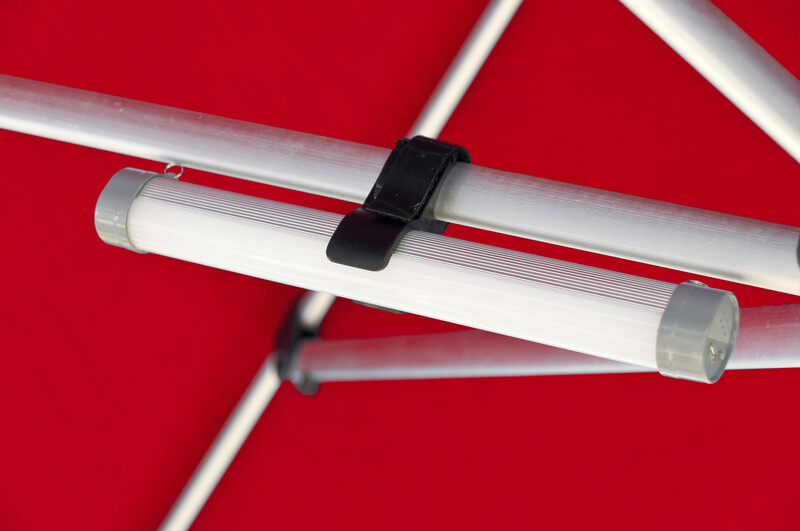 This Commercial Eclipse Cantilever Umbrella combines style and strength. 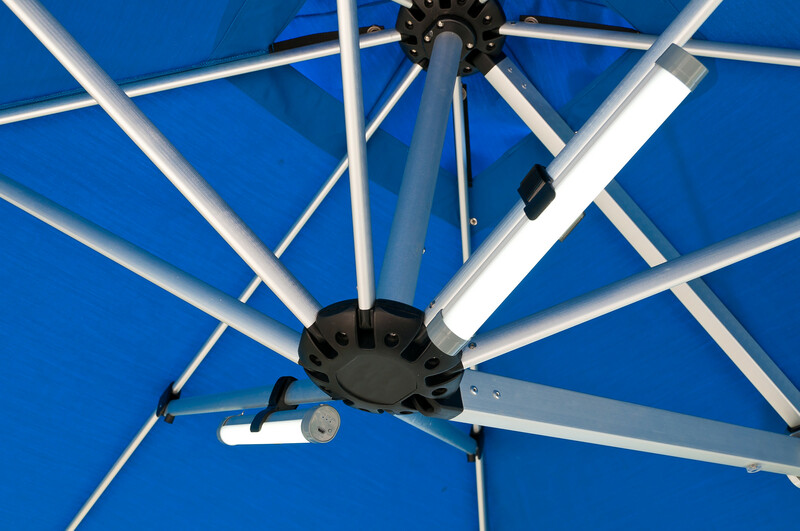 The multiple tilt levels gives maximum shade flexibility. 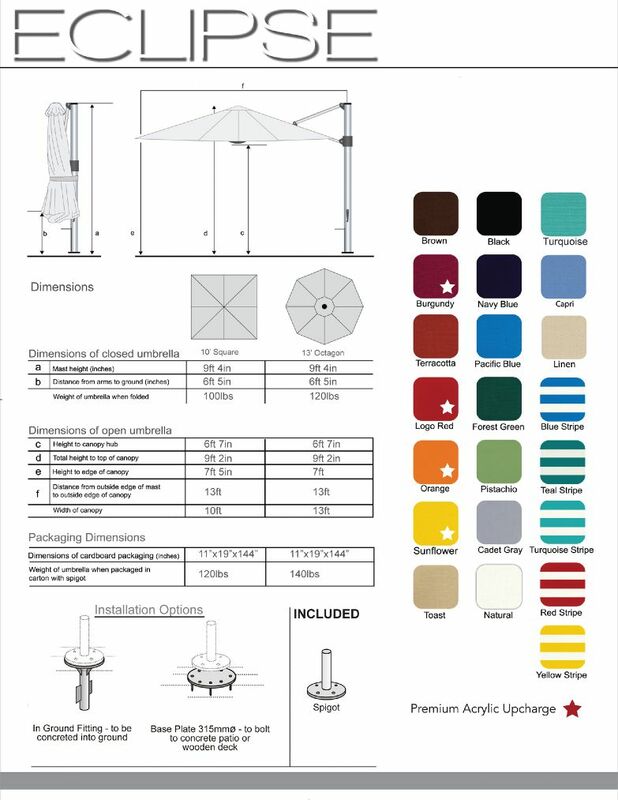 For dimensions and weight, please see spec sheet tab below. 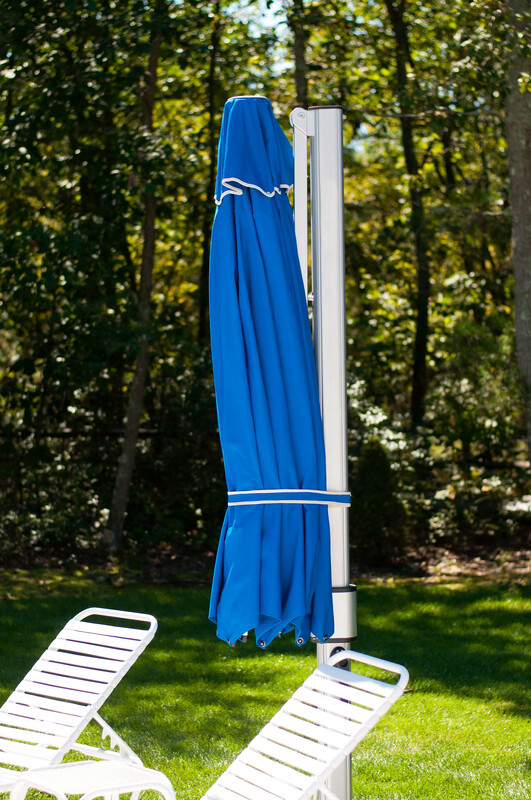 Spigot- Included with the umbrella. 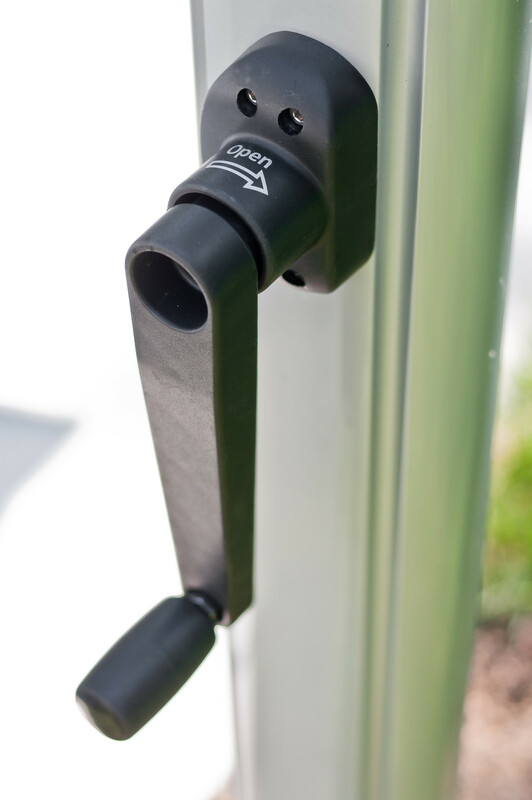 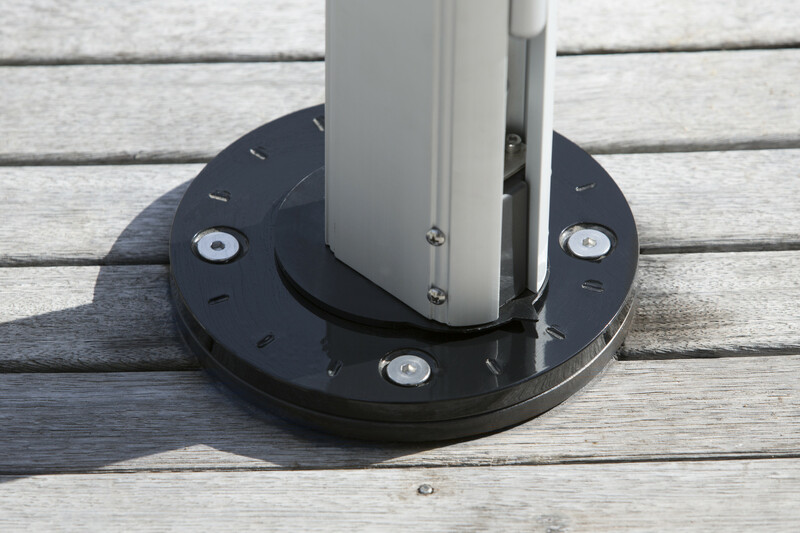 Can be bolted directly to concrete slab or wooded deck. 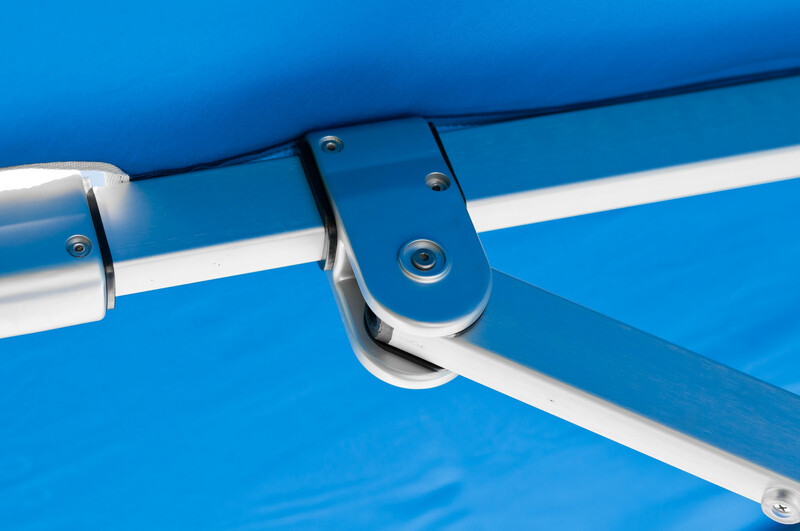 Recommended to go with base plate. 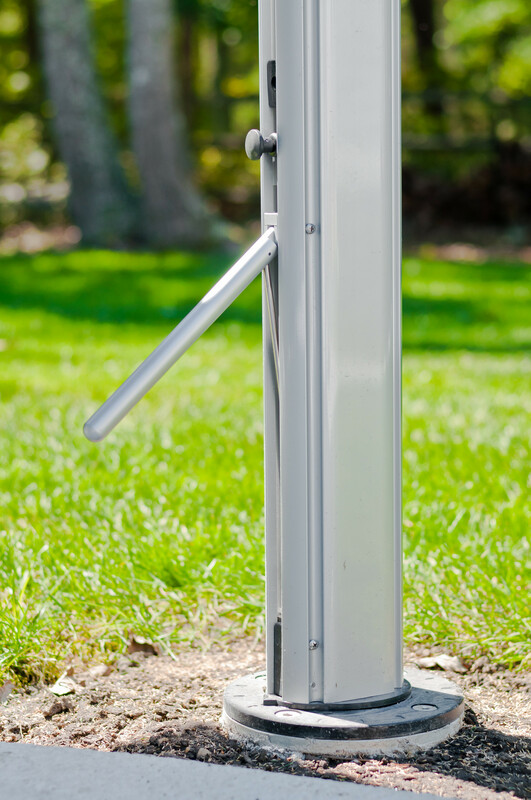 In Ground Mount- Can be installed in-ground in concrete footing.